Happy Friday! I've got another spring look for you. This is super light makeup and I actually love how fresh it came out. Although it's a "no makeup" makeup look there is definitely still many products used in this look lol, check it out! I wanted a really light look on my eyes. I used Makeup Geek Foiled Eyeshadow - In the Spotlight on the inner half with Makeup Geek Eyeshadow in Goddess. To help blend out the eyeshadows I used Makeup Geek Cupcake, a pretty pink. I created my own custom foundation - CoverFX Custom Cover Drops mixed with NYX HD Purple Primer and City Color Cosmetics Illuminating Cream. To set I used CoverFX Blotting Powder in Medium. 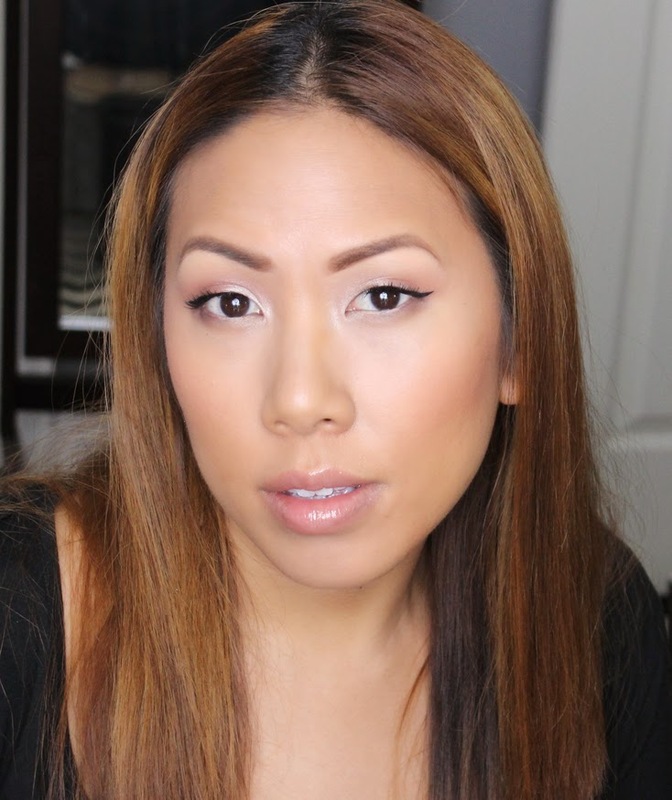 My highlight is YSL Touch Eclat set with CoverFX Illuminating Setting Powder in Light. To bronze I used an oldie but goodie, Couleur Cosmetics Bronzer in Terra Caramel. I continued the peachy pink onto my cheeks using City Color Cosmetics Be Matte Blush in Fresh Melon - one of my favorites. I then used Ofra's Illuminating Stripes to give a glowy highlight. And lastly, on the lips is MAC Stripdown lip pencil with Alcone Grace Lipgloss. Hope you all enjoyed! Have a great weekend!